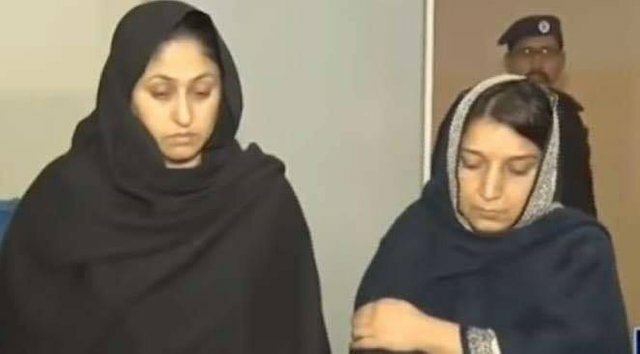 The two evil women who killed Uzma are now in Police custody. They use to force Uzma to sleep in the washroom. Uzma was killed for doing the heinous crime of stealing a bite from this lady's daughter's plate. They had beaten her badly. Uzma got internal bleeding in her skull. Despite this fact, again they locked her in the washroom for hours and later dumped her body in the gutter. This is the unfortunate reality of Pakistan's domestic environment where morality and humanity don't even exist a bit. We need to modify our curriculum at earliest from grass root level unless this society will turn into villainous shameless human-like barbarians. The government should take serious measures to ensure justice for the domestic workers in Pakistan. I thought you said you weren't going to tell me your name. I already know your name. I didn't have to ask. My only hunger is hunger to answer questions, not useless ones.